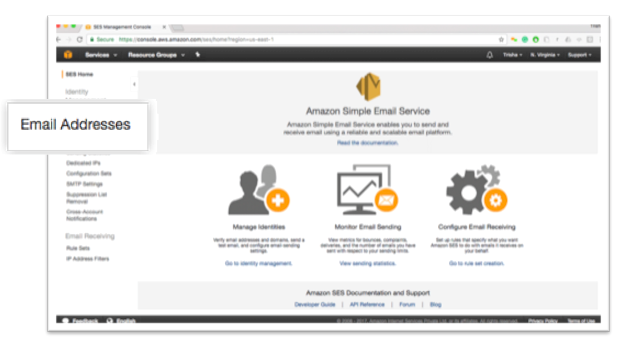 How to setup Amazon Simple Email Service? With the Internet spreading so rapidly over the years, it is only a matter of time before everyone in the world isconnected. It has become a major medium for exchanging information and it has surpassed other mediums in more than one way. It is only natural that, for this reason, most businesses (mostly successful ones) have decided to shift to digital information exchange through Email campaigning because Email can be tailored to customer actions so that every communication is relevant to their interest. David Newman said “Email has an ability many channels don’t: creating valuable, personal touches – at scale.” Some of the largest email marketing solutions across the globe are Amazon’s SES, Mailchimp, Sendgrid, Mailgun, etc. 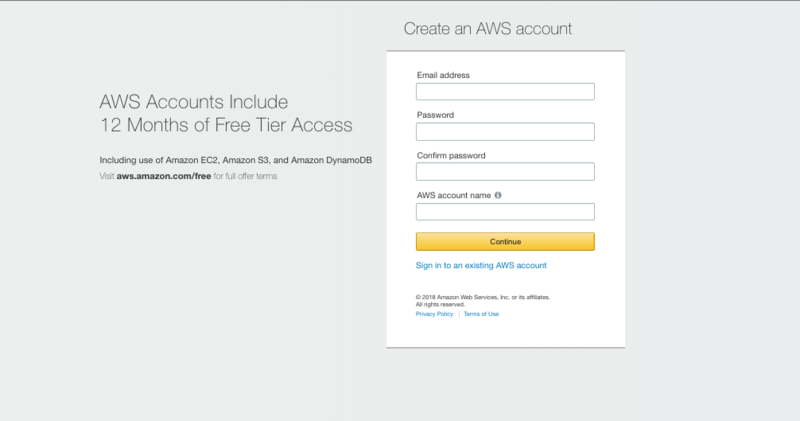 How to create an AWS SES account? 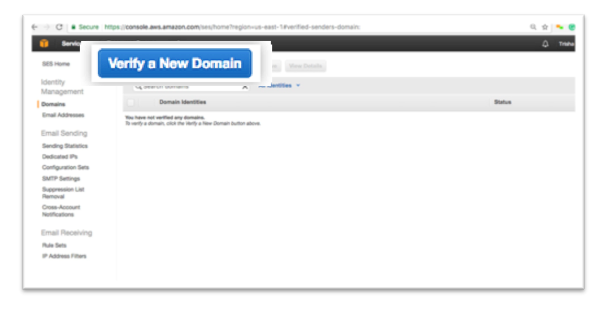 Open this URL aws.amazon.com/ses and click on “Get Started with Amazon SES” button. 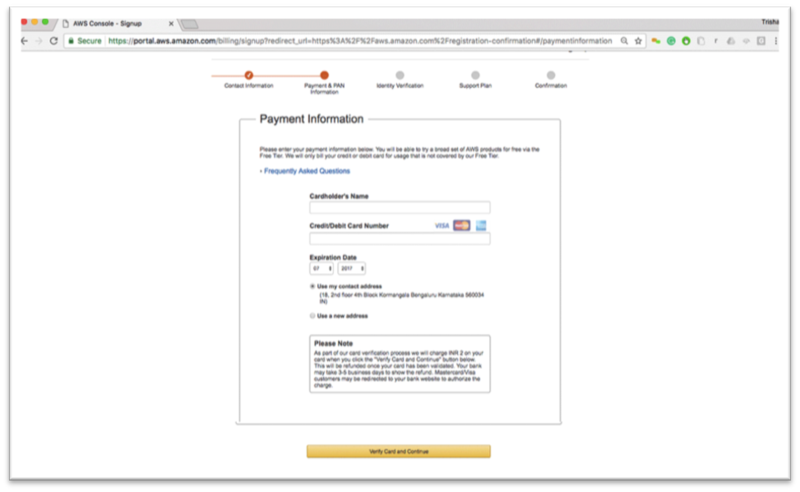 In case, if you already have an amazon.com account simply enter your email ID and click next button. On the new page, you will get an option to enter the password and Sign in Button. You will have two options either to sign in or to create an account On the page. 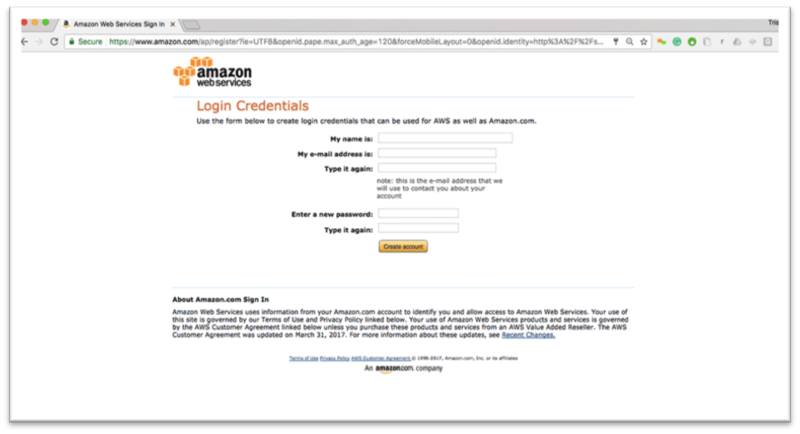 If you are a new user then click on "Create a New AWS account". 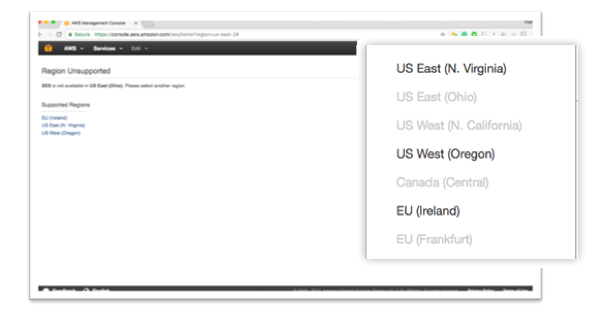 It will redirect you to a new page where you need to enter Email Address, password and AWS account name. If you go for creating a new account, on this Login credentials page enter the required information. Now click on “Create account” button. 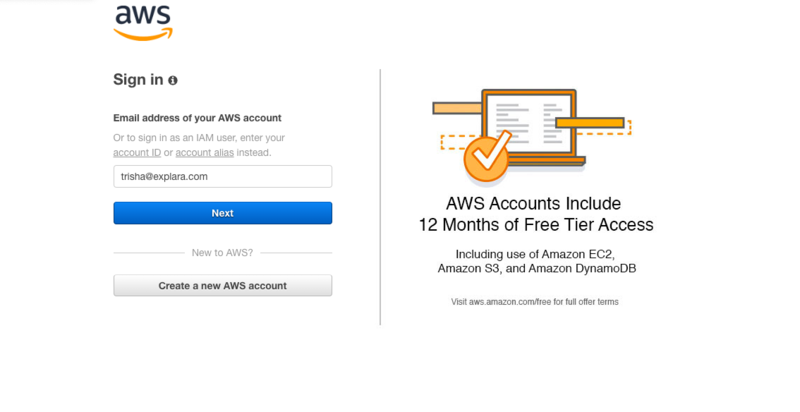 You have now successfully registered an AWS account. Now the process of filling contact information, payment information, verification, selection of support plan and confirmation is to be done to complete the setup. Fill your basic information such as your name, your company’s name, your country, your address, your city, state, postalcode, and your phone number. This will be followed by a security, here you need enter the captcha as shown. 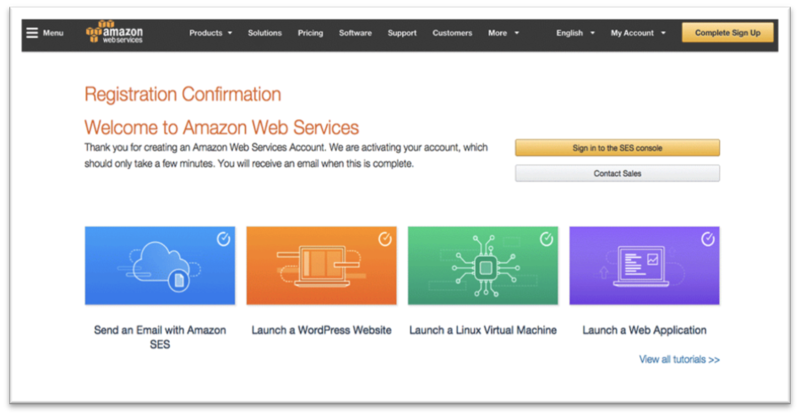 Now check (tick) on the AWS customer agreement (after reading it properly) then click on “Create account and continue” button. On the payment information page, enter the credit card number and its expiry date then add card holder’s name. Here you can choose to select your billing address; choose your billing address and click on “Continue” button. 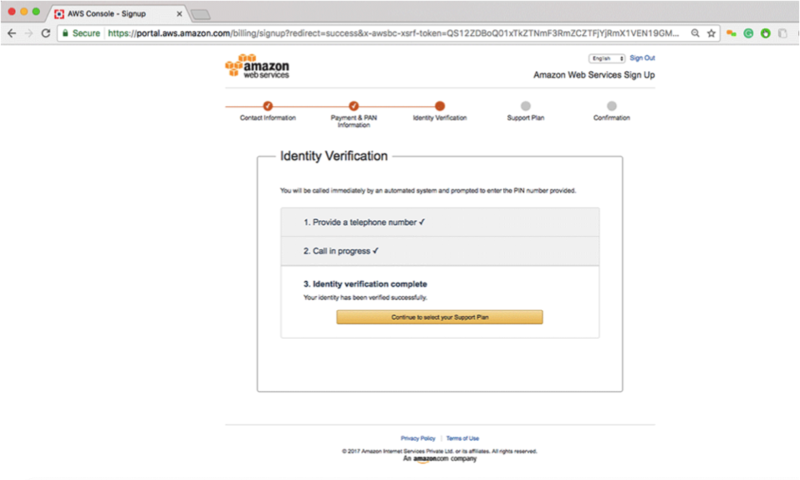 In the next step you will need to verify your identity. You need to provide your phone number then click on “Call me now”button. You will receive an automated call mentioning the 4 digit verification code. Enter this code through your phone. Now you will see a window confirming your verification. From that window click on “Continue to select your Support plan”button. 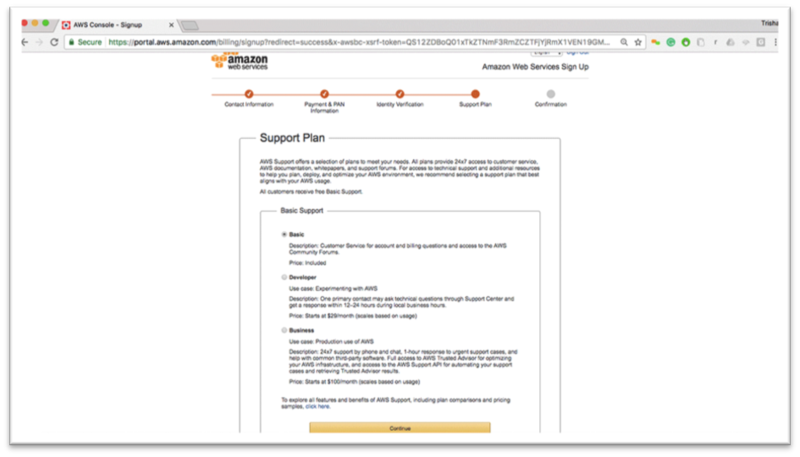 After clicking on “Continue to select your Support Plan” you will be taken to this page as shown below, select your support plan according to your usability and click on “Continue”button. Now a confirmation window will appear where you will see the notice of Registration confirmation. On the right side you will see a “Sign in to SES Console” and you will see “Contact Sales” button. Click on “Sign in to SES Console” button. 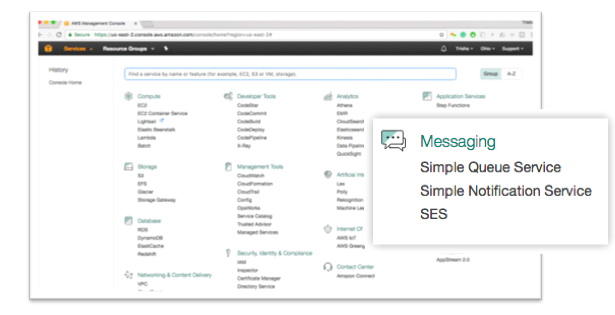 You need to click on the SES (Simple Email Services) option from the “Services” menu under the messaging options as shown in below image to start with email services. Once you you click on SES icon you may be taken to the below page where you will be asked to select another region if your default region is not available with SES. 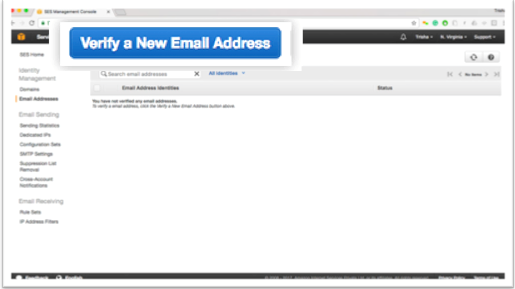 After you click on SES, go to “Email Addresses” option from the left menu to verify the particular email address using which you will be sending emails notifications from Explara. 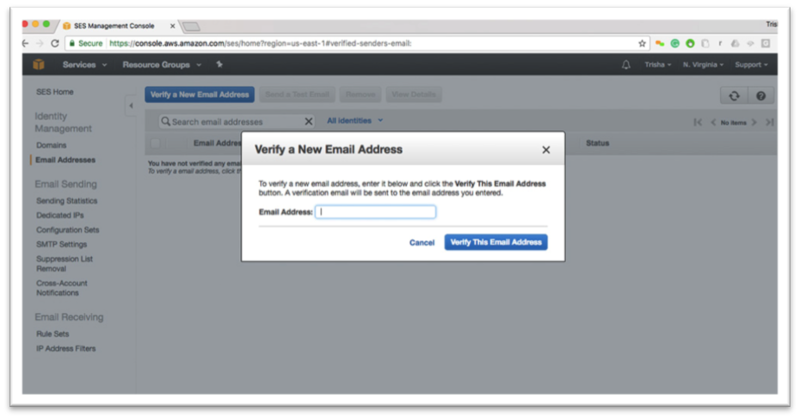 Now to verify your email address click on “Email Addresses” button on the dashboard. 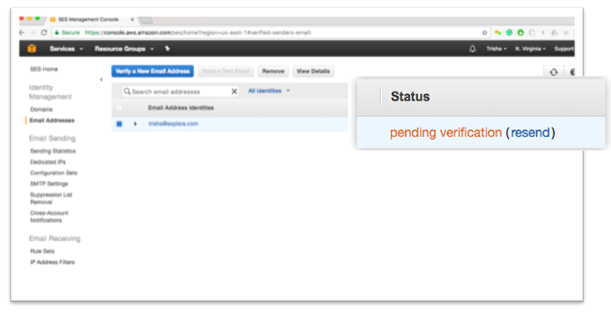 Now you will see the verification status as pending until your email ID is verified by AWS SES. 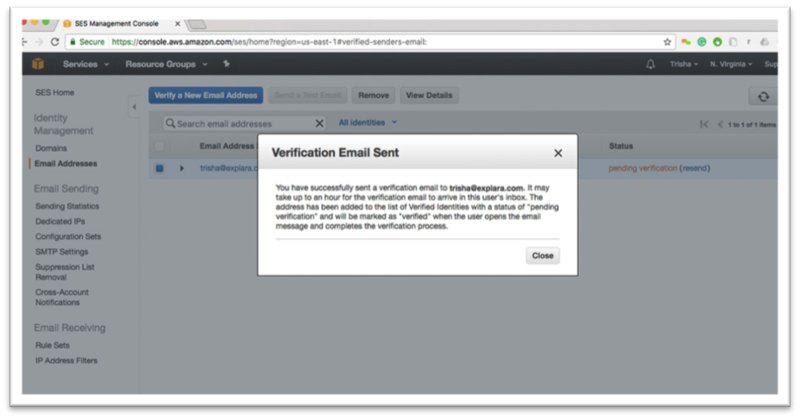 Click on the verification link sent to your email ID and verify the email address. Once you click on the link, your verification status will change from Pending to Verified as shown in the screenshot below. 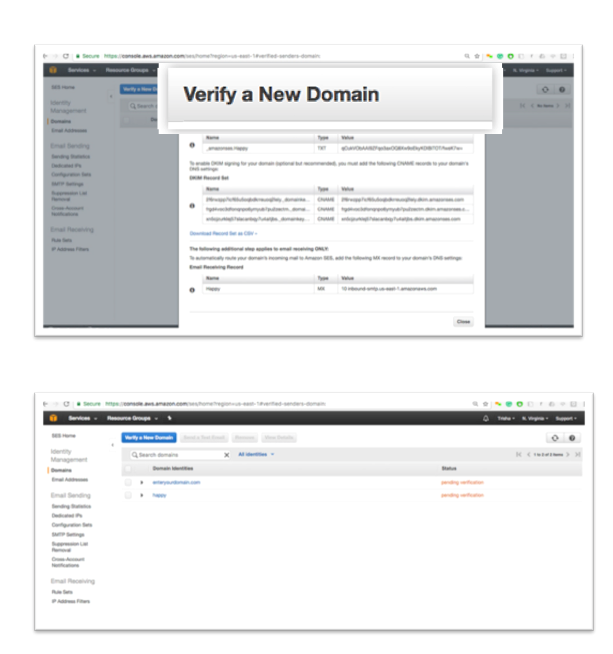 You can verify either email addresses or domains with Amazon SES to start sending emails. Also, ensure that your account has production access. You can request for having production access. 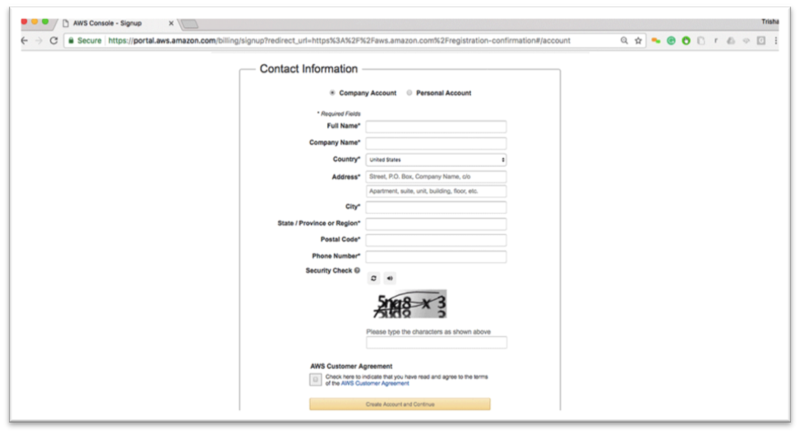 DKIM Signing should be enabled for the domain. 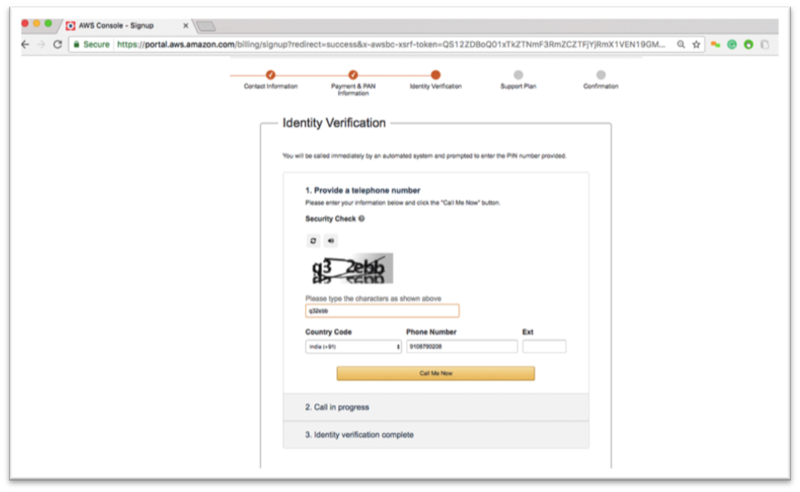 Step II: You will be redirected to the security credentials page where you will need to click on “Continue to Security Credentials”. Click on “Access keys” from the Security Credential options. The menu will expand and you will need to click on “Create New Access Key” Button. Then a pop up will open where you will either need to click on “Download Key File” button or click on “show access key” option. 2) Your sending limits are set to their starting values, which is a sending quota of 200 emails per 24-hour period, and a maximum send rate of 1 email per second. None of that has changed. Now, there is just one form: SES Sending Limits. With your first sending limit increase, you’ll automatically be moved out of the sandbox. That is, in addition to increasing your sending limits, you’ll be able to send to any “To”address. The form can be found in Support Center. However, you need to get to it from the Support Center console, click the Create Case button. On the Create Case form, choose Service Limit Increase and then select SES Sending Limits from the drop-down menu as shown below.